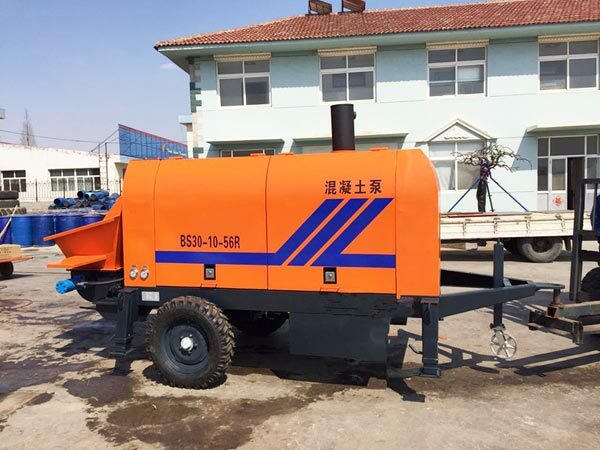 Trailer concrete pump is a kind of high-quality concrete pump, which can be towed continuously and transported concrete to the pouring construction site continuously through the horizontal or vertical laying pipelines. 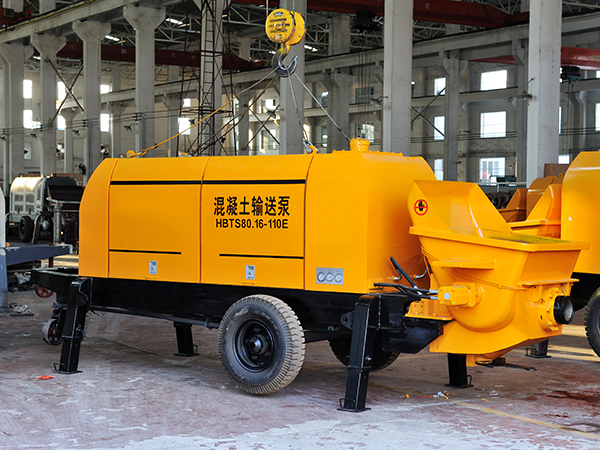 It is one of the important equipment which is indispensable for the construction of concrete mechanization. 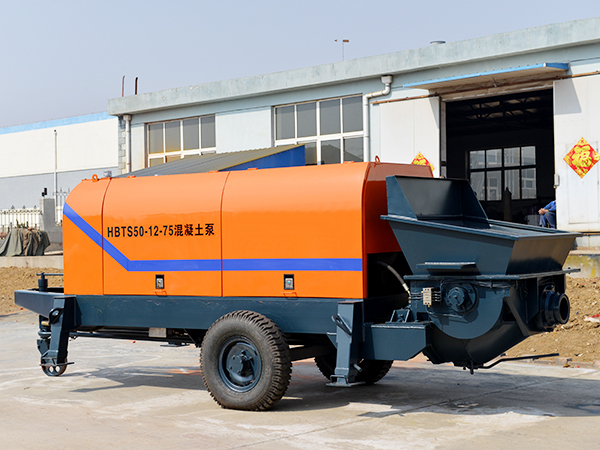 Among so many kinds of concrete pumps, what are advantages of concrete trailer pump? 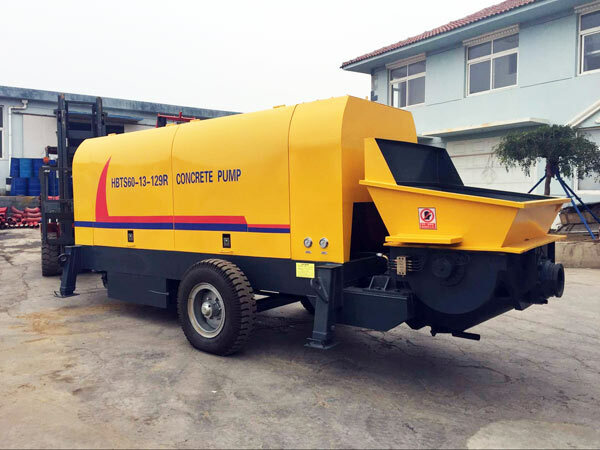 There are a lot of trailer pumps, such as concrete stationary pump, manual concrete pump and so on. Most of us pay more attention to output or power system. If your most important consideration is output, there is need to worry. Because the output of our pump ranges from 30 cubic meters per hour to 90 cubic meters per hour. It can totally meet the demand of different projects. 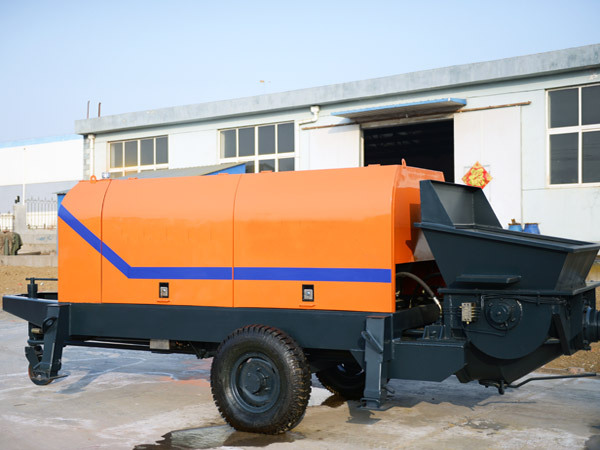 If you pay more attention to power system, we have diesel concrete pump and electric concrete pump for your reference. 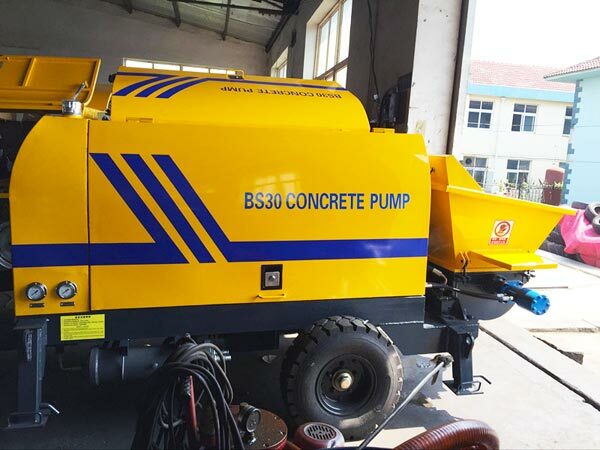 For diesel concrete pump, there are such models: BS30-10-56R, HBTS40-10-82R, HBTS50-12-62R, HBTS60-13-129R, HBTS80-16-129R, HBTS90-18-176R. This is more suitable type for remote areas where it’s hard to get electricity in a short time. 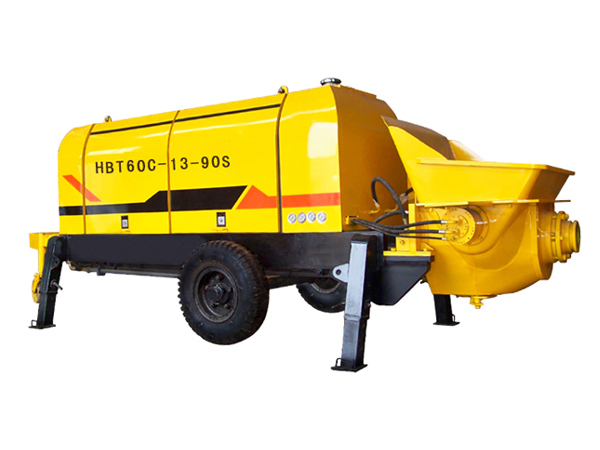 For electric concrete pump, we have BS30-10-3, HBTS40-13-45, HBTS50-12-75, HBTS60-13-90, HBTS80-16-110 for you to choose. It can be applied in anywhere there is electricity. 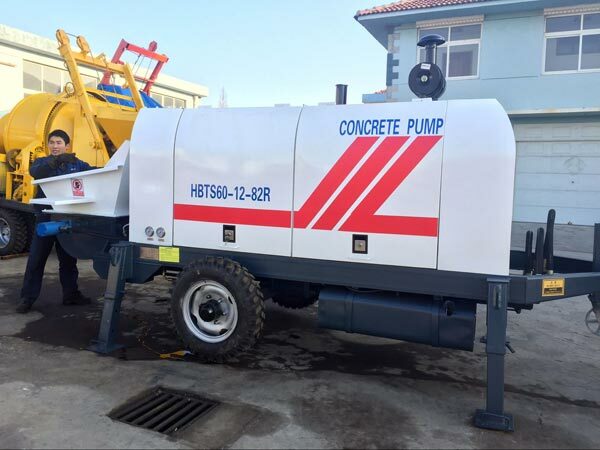 According to movement, concrete pumps can be classified into three types: trailer mounted pump, truck-mounted concrete pump, concrete boom pump. 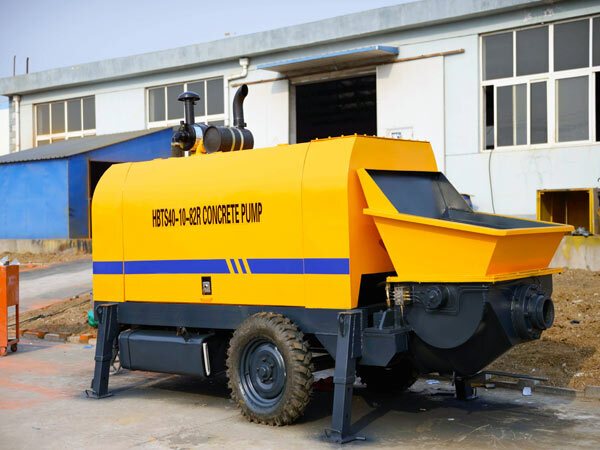 Although both truck-mounted pump and concrete trailer pump can be moved very easily, the cost of trailer pump is lower than truck-mounted pump and become a much economical choice. 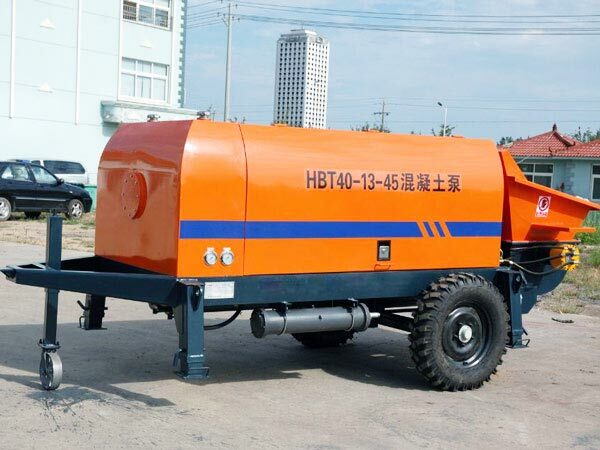 Compared with concrete boom pump, trailer pump has more broadly applications. Boom pump is usually be applied in large-scale construction sites, such as building skyscrapers or cross-sea bridges. 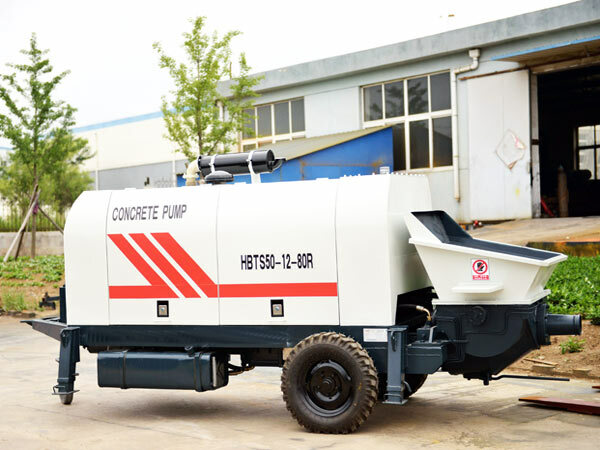 However, trailer pump not only is suitable for in construction sites of high buildings and bridges, but also offers a ideal solution for placing concrete in hard-to-access areas, including projects about tunnels and water conservancy. 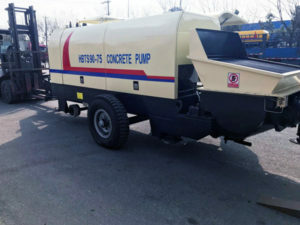 Pumping system is an integral system for the whole ready concrete pump. This system consists of five key parts: the hopper, the S valve, two concrete conveying cylinders, the water tank and main oil cylinder. When the pumping system starts working, with the influence of main oil cylinder, concrete pistons begin to move. Meanwhile, the S valve starts to swing in accord with the movement of concrete pistons. By connecting conveying pipe with conveying cylinder in turn, the process of pumping is completed. And then it starts next circulation. Considering its complex construction and working principle, producing excellent pumps is not an easy thing. But we make it. 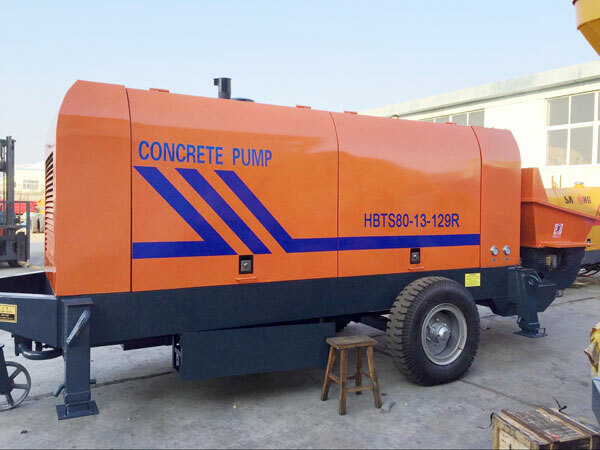 Here are concrete trailer pump- working video, you can know more about it through video. 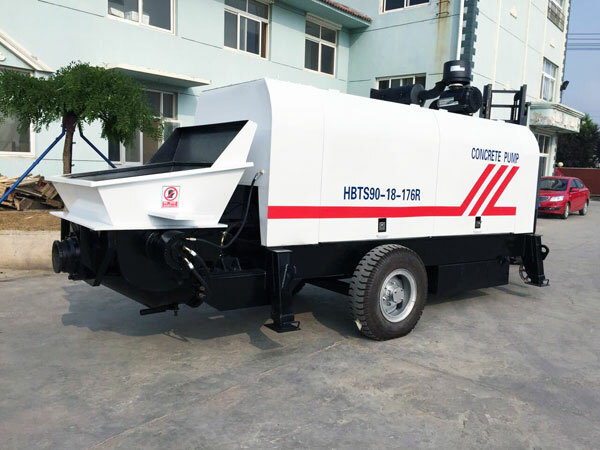 As one of professional trailer concrete pump manufacturers, Aimix is proud of our pumps. The quality of each components is quite excellent. Our target is to produce more durable wearing parts with longer life. By adopting new materials and holding continuous exploration and tracking experiments, the life of the transmission piston has greatly improved. And the service life of wear plate and cutting ring has increased by 30% or more, which belongs to the advanced level among peers. Except from that, other components usually adopt well-known brand products. The main pump adopts well-known brand Kawasaki, which is famous for its stable function. The electronic control system is equipped with programmable controller, whose brand is OMRON. In addition, there is a wire remote control for each machine. What’s more important, advanced technology can be seen everywhere. Take unique buffer design for reversing as an example. In the moment of commutation, the direction of pressure oil flow suddenly changes in the hydraulic circuit, which leads to a very high peak pressure. This peak pressure not only impacts the hydraulic system and shorten the life of hydraulic components, but also damages the mechanical components of the machine. In order to solve this problem, Aimix adopts unique buffer design for reversing. This design eliminates the instantaneous peak pressure to the maximum extent and ensures the smooth running of pump machine. 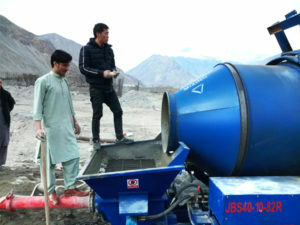 All in all, with excellent parts quality, diverse machine models, and economical price, Aimix is a considerable choice for any people who are planning to purchasing concrete trailer pumps and mobile concrete mixer with pump. If you have any further questions, please contact us.